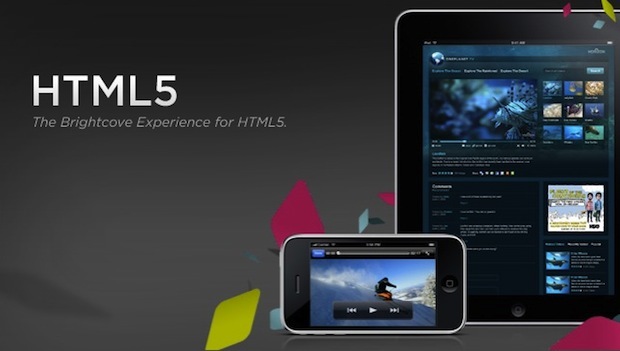 This is a powerful move for Steve Jobs in his battle over Flash on the iPhone and iPad: Brightcove, the online video provider, just announced it’s tweaked its system to allow HTML5 video to replace Flash. That means The New York Times, folks. Brightcove’s Experience for HTML5 is the specific bit of code we’re talking about, and Brightcove’s just made it available to its 1,000-plus customers for free. The neatest aspect of this code as far as normal Netizens are concerned is that it allows for “seamless” replacement of Flash-based video embeds in Web sites with HTML5-compatible streamed video content. And that means that the site will run smoothly on the non-Flash mobile Safari browsers that come with the iPhone and iPad. And since the New York Times and Time magazine use Brightcove’s system, that means those Web sites will be totally capable of playing embedded videos on the Apple iDevices. Given the will-they-won’t-they rumors stirred up by Steve Job’s own demo of the NYT during the iPad launch, and Apple’s subsequent mistake in showing an iPad demo that seemed to show video working nicely in the Time’s Web page, this is actually fascinating news. Did Brightcove plan to do this previously, and delays meant it didn’t quite line up with the iPad’s launch? Impossible to tell, of course. But here’s the thing: We know CBS is trying out HTML5 video for its Web presence on the down-low, and that Google very publicly announced it would be trialling an HTML5 version of YouTube. And now Brightcove’s customers can switch away from Adobe’s proprietary Flash video code and use the HTML-standardized code that most browsers will comply with in the future… This begins to look like the tide is turning against Adobe, and the iPad is the main force changing things around. All we’d have to do to make the transformation complete is get all those NSFW pink-pixel video sites to switch from Flash, and the iPad would have changed the Web.